AWARD WINNING PIANIST STEPHEN BEUS returns to the Merc Playhouse March 10, 2018, performing a solo concert. After his remarkable performance in November with the Kairos ensemble the audience was astonished at his technical and musical virtuosity. 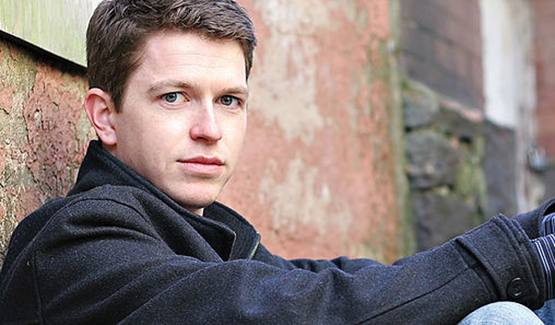 In the space of four months, American pianist Stephen Beus won first prize in the Gina Bachauer International Piano Competition, first place in the Vendome Prize International Competition (Lisbon) and was awarded the Max I. Allen Fellowship of the American Pianists Association (Indianapolis). As a result of winning the Juilliard School Concerto Competition Mr. Beus made his Carnegie Hall debut with the Juilliard Orchestra and James DePreist, playing Prokofiev’s Concerto No. 3. He has also performed as guest soloist with the Gulbenkian Symphony (Lisbon), Oxford Philomusica, the Tivoli Symphony (Copenhagen), the Tbilisi National Opera Orchestra, the Northwest Sinfonietta (Seattle), the Royal Philharmonic of Morocco (Casablanca), the Vaasa Symphony Orchestra (Finland). He teaches at BYU and is a Steinway Artist. Cascadia is very pleased to bring Mr. Beus to the Methow Valley for this special performance! DATE: Mar 10, 7pm. TICKETS: $20/Adults,$5/Students. brownpapertickets.com or at the door. CONTACT AND INFO: www.cascadiamusic.org or call 509-997-0222.